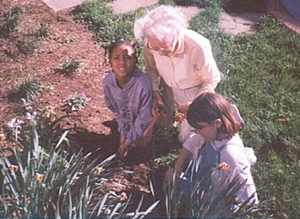 "The Northern Virginia SEC community gardeners work with youngsters after school to grow food and flowers"
EASI SEC volunteers provide education and training in a wide variety of environmental activities at special events. Pennsylvania designated trainers* representing several SECs pose here at one of those events. *Please see the PaSEC program page for more information about designated trainers. A sampling of EASI's programs and activities. For more information about any of these programs contact EASI at [email protected].